The case for owning low-premium bullion products, and avoiding high-premium numismatic coins for sale, is straightforward. Specialty coins that carry hefty collectible premiums above melt value put buyers an immediate disadvantage. If they have to turn around and sell, they might get back only a small fraction of the premium they paid. Bullion coins that sell for close to melt value don’t carry that type of downside risk. They tend to closely track spot prices with relatively small bid/ask spreads. However, supply and demand dynamics within the retail bullion market can sometimes cause premiums to trend higher or lower. Especially sensitive to fluctuations in supply and demand are historic, no longer minted products such as pre-1965 U.S. 90% dimes, quarters, and half dollars. The silver bullion market is not merely the spot silver market. Each type of bullion product is its own market with its own bid/ask spreads and premiums. 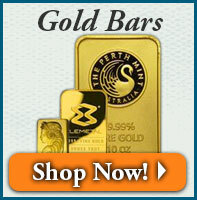 Most ordinary bullion bars and rounds don’t deviate much from spot prices in normal market conditions. In recent years, however, premiums on 90% silver have swung dramatically. In September 2015, Money Metals Exchange quoted premiums as high as $6/oz on so-called “junk” silver! A similar premium spike occurred in late 2008 and early 2009 as the financial crisis caused the physical market to decouple from the paper market. Holders of silver futures contracts and silver exchange-traded products didn’t see any premium bump. The biggest gold and silver ETFs track only spot prices. These financial instruments won’t reflect any shortage-induced premium spikes in the coin market. You could try to amplify your upside in an ETF by employing leverage. But doing so also amplifies your downside risk. Unleveraged physical silver – pre-1965 silver especially – gives you the opportunity to see the value of your holdings diverge positively from paper prices during times of financial stress and/or heavy physical demand. Granted, these aren’t necessarily opportune times to sell. In late 2008 and again in late 2015, the silver spot market was in the process of bottoming out. But those who needed to sell due to personal circumstances found that the rise in physical premiums provided something of a cushion against extreme draw downs in paper markets. That’s because bullion dealers will raise buy-back prices on products that are also commanding higher premiums. When premiums on a particular product such as 90% silver coins soar, arbitrage opportunities open up to holders who don’t want to lose their silver position. 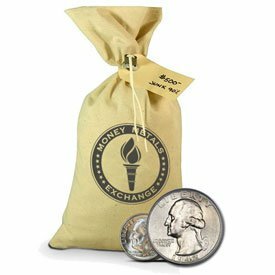 For example, they might be able to switch a 90% silver bag for rolls of silver rounds and end up with more ounces of silver. Obviously, for this trade to be a net gain, the premium differential has to be large enough to more than cover all transaction costs. At present, the best opportunity in 90% silver is to be a buyer. That’s because premiums now sit at historically low levels. 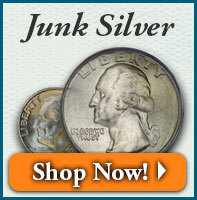 In quantities of a half bag or larger, buy junk silver for under $1/oz over spot prices! You pay virtually nothing extra now to own an asset that could command much higher premiums in the future. It’s like getting a free option on rising premiums that never expires. When a period of extreme tightness returns to the market, you may wish to exercise that option. In baseball terms, it’s a double play opportunity. 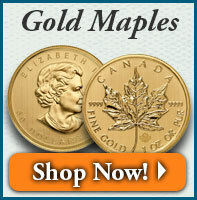 You have the potential to make money two ways – from rising silver prices and rising coin premiums – with one purchase. There have been times when market conditions were so tight on junk silver that Money Metals Exchange paid retail sellers up to $4.50/oz over spot to buy silver coins. At some point in the future, a secular and permanent rise is premiums on historic silver coins is possible – one that sees them priced in an entirely different category than ordinary bullion products. So far that hasn’t happened. At the very least, another cyclical rise in junk silver premiums is likely to commence at some point in the future. It could be a great profit opportunity for those who acquire bags of 90% silver dimes and quarters at today’s low valuations. Double Your Savings with These Overstocked Items!